Ever tried to buy strawberries at a local Indiana produce market in September, only to find they’re not available? That’s because although strawberries can be found in grocery stores year round, they’re truly in season in the spring, between May and July. We’ve created an in-season produce calendar for Indiana so you can easily see when it’s the right time to find the freshest cantaloupe or watermelon, or if you’ve missed sweet corn season. Feel free to share this seasonal calendar on Facebook, Twitter and Pinterest, or contact us for permission to reuse or reprint a full-size version. Want to learn more about Indiana agriculture? Check out stories on everything from hardwood companies who are making an international mark to the scoop on Indiana ice cream. 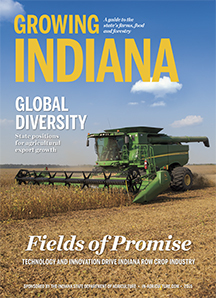 You can also read about Indiana family farms, the state’s top ag products and much more. 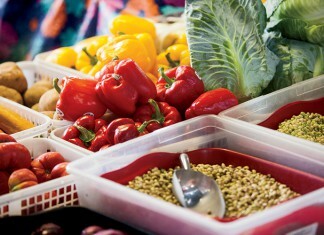 Indiana Grown program evolves to boost local food markets.